The ECONOMUSEUM of the Violin houses a reception area which sets the mood, a workshop where violin makers are at work, a collection of string instruments of another era, a selection of contemporary instruments, a boutique and a service section. The interpretation area of old and contemporary collections occupies the main gallery on the second floor. 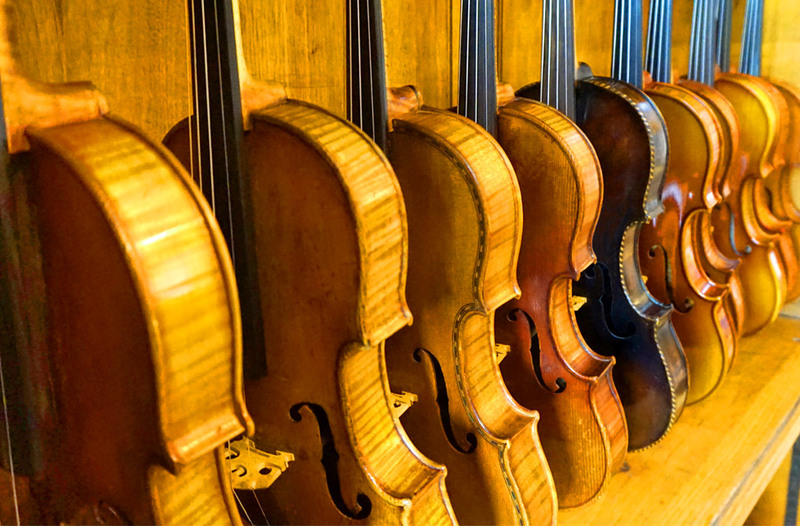 The museum is an outgrowth of the exhibitions and lectures violin maker Jules Saint-Michel has presented over the years at which he describes the origins of the violin, the history of instruments in his collection and the evolution of violin making in Quebec. In 1999, the International ECONOMUSEUM Network Society chose his workshop to represent violin making in its network of craftsmen. To this end, the gallery on the second floor was transformed, enabling viewing in showcases and on didactic panels of ancient instruments which were the forerunners of the violin, various examples built according to the works of the great masters, a collection of contemporary instruments as well as the tools, parts and phases of construction of the violin -- a great incentive for students who will learn why and how a violin resonates. Guided tours for groups facilitate visitor understanding.